Microeconomic Theory: A Heterodox Approachdevelops a heterodox economic theory that explains the economy as the social provisioning process at the micro level. 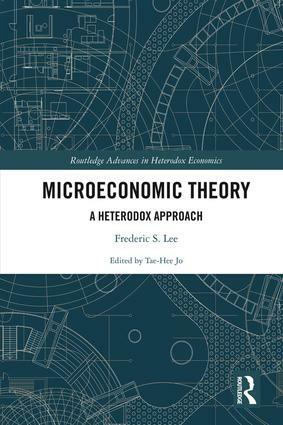 Heterodox microeconomics explores the economy with a focus on its constituent parts and their reproduction and recurrence, their integration qua interdependency by non-market and market arrangements and institutions, and how the system works as a whole. 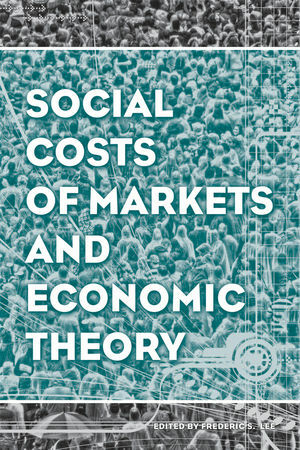 This book deals with the social costs of markets from a heterodox perspective. It deals with the degrading of work, decline of community, and rising income inequality in the United States as markets and especially financial markets come to dominate society. Of course, if there is an attempt to point out the social costs of markets, the response of mainstream economists is to silence the critics or even in Orwellian fashion redefine their critiques so as to eliminate any negative comments about markets. While critique is necessary, there also needs to be a constructive agenda, that is, the developing of an alternative, heterodox economic theory. So overall the book presents a critique of the social costs markets and the beginning of a heterodox economic theory of how the capitalist market system actually works. Post-Keynesian and heterodox economics challenge the mainstream economics theories that dominate the teaching at universities and government economic policies. And it was these latter theories that helped to cause the great depression the United States and the rest of the world is in. However, most economists and the top 1% do not want mainstream theories challenged—for to do so would mean questioning why and how the 1% got where they are. Therefore, numerous efforts have been and are being made to discredit if not suppress Post-Keynesian and heterodox economics. These efforts have had some success; this book is a response to them. 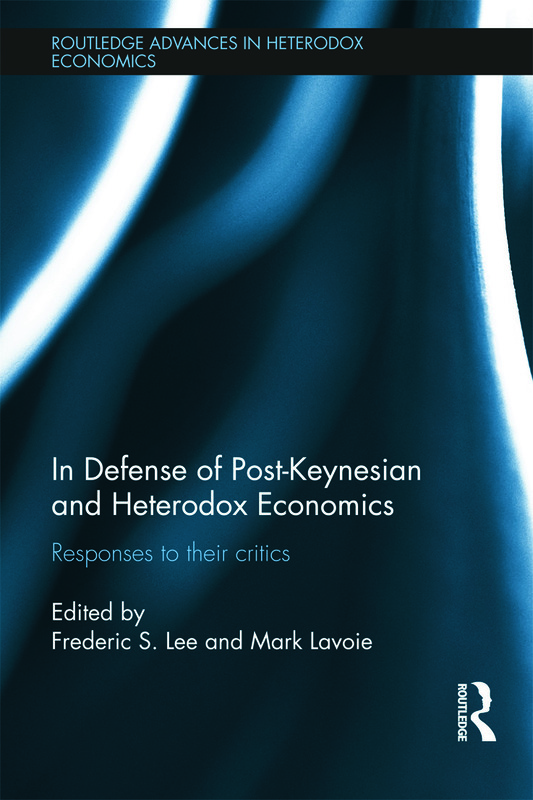 This book makes it clear that Post Keynesian/heterodox economics is, in spite of internal problems, a viable and important approach to economics and that it should resist the attempts of the critics to bury it. The reader will also find arguments that directly engage the critics and suggest that their views/criticisms are vacuous and wrong. As such, this will appeal to all who are interested in economic theory, economic history and who believe in challenging the orthodoxy. 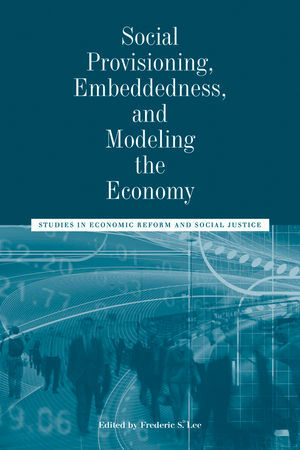 Social Provisioning, Embeddedness, and Modeling the Economy: Studies in Economic Reform and Social Justice, Wiley-Blackwel, 2011. ISBN: 978-1-1182-4519-4 (hb), 500 pages | website | also appears as the 2011 November issue of the AJES. 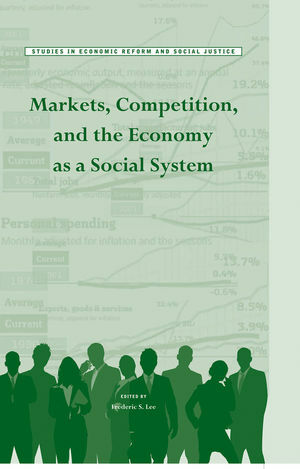 This book consists of nine essays that model the economy much differently than mainstream economics models the economy. Essays integrate the social surplus approach, social fabric matrix approach, input-output modelling, social accounting matrix, social structures of accumulation, stock-flow consistent modelling, and structure-agency. Includes an essay that introduces state money and hence the financial sector into a input-output model—a somewhat new innovation in modelling the economy. Chapter 1. Lineages of Embeddedness: On the Antecedents and Successors of a Polanyian Concept (Gareth Dale). Chapter 2. Social Ecological Economics: Understanding the Past to See the Future (Clive L. Spash). Chapter 3. Would You Barter with God? Why Holy Debts and Not Profane Markets Created Money (Alla Semenova). Chapter 4. Human Capital: Theoretical and Empirical Insights (Germana Bottone and Vania Sena). Chapter 5. On Norms: A Typology with Discussion (Matthew Interis). Chapter 6. The Battle of Methods in Economics: The Classical Methodenstreit (Menger vs. Schmoller, Marek Louzek). Chapter 7. Emily Greene Balch, Political Economist (Robert W. Dimand). Chapter 8. Who Do Heterodox Economists Think They Are? (Andrew Mearman). Chapter 9. Microeconomics After Keynes: Post Keynesian Economics and Public Policy (Steven Pressman). Chapter 10. Morgenstern’s Forgotten Contribution: A Stab to the Heart of Modern Economics (Philipp Bagus). 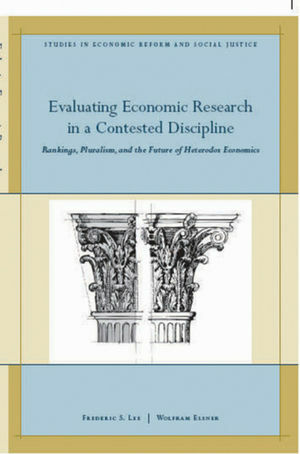 Evaluating Economic Research in a Contested Discipline: Ranking, pluralism, and the future of heterodox economics (edited with W. Elsner), Wiley-Blackwell, 2010; also appears as the 2010 November issue of the AJES. 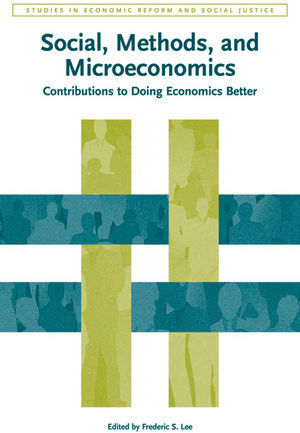 This book challenges the view that using SSCI journal citations (especially its impact factor score) and peer review/evaluation are the best ways (in that they are the most objective ways) to evaluate economic research. A History of Heterodox Economics: Challenging the mainstream in the twentieth century. Economics is a contested academic discipline between neoclassical economics and a collection of alternative approaches, such as Marxism-radical economics, Institutional economics, Post Keynesian economics, and others, that can collectively be called heterodox economics. Because of the dominance of neoclassical economics, the existence of the alternative approaches is generally not known. 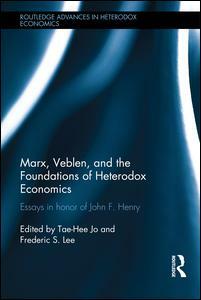 This book is concerned with the community history of heterodox economics, seen primarily through the eyes of Marxian-radical economics and Post Keynesian economics. Throughout the 20th century neoclassical economists in conjunction with state and university power have attacked heterodox economists and tried to cleanse them from the academy. Professor Lee, his groundbreaking new title discusses issues including the contested landscape of American economics in the 1970s, the emergence and establishment of Post Keynesian economics in the US and the development of heterodox economics in Britain from 1970 to 1996. To celebrate the centenary of the most radical union in North America – The Industrial Workers of the World – this collection examines radical economics and the labor movement in the 20th Century. The union advocates direct action to raise wages and increase job control, and it envisions the eventual abolition of capitalism and the wage system through the general strike. The contributors to this volume speak both to economists and to those in the labor movement, and point to fruitful ways in which these radical heterodox traditions have engaged and continue to engage each other and with the labor movement. In view of the current crisis of organized labor and the beleaguered state of the working class—phenomena which are global in scope—the book is both timely and important. 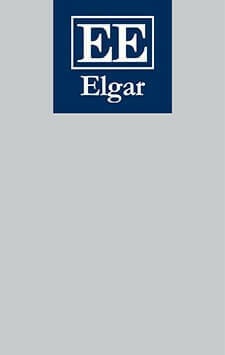 Representing a significant contribution to the non-mainstream literature on labor economics, the book reactivates a marginalized analytical tradition which can shed a great deal of light on the origins and evolution of the difficulties confronting workers throughout the world. This volume will be of most interest to students and scholars of heterodox economics, those involved with or researching The Industrial Workers of the World, as well as anyone interested in the more radical side of unions, anarchism and labor organizations in an economic context. Frederic S. Lee. 1999. Post Keynesian Price Theory. Cambridge, UK: Cambridge University Press. 292 pp. ISBN: 9780521328708 (hb, 1999), ISBN: 9780521030212 (pb, 2006) | website Reprinted in paperback, November, 2006. Frederic Lee sets out the foundations of a post-Keynesian price theory through developing an empirically grounded production schema. The administered, normal cost and mark-up price doctrines are explained in parts I-III of the book, as many of their theoretical arguments are important for developing the foundations. This involves discussing the work of Gardiner Means, Philip Andrews, and Michal Kalecki as well as the developers of the doctrines, such as Edwin Nourse, Paolo Sylos Labini, Harry Edwards, Josef Steindl and Alfred Eisner. Drawing upon the arguments and formal modelling offered by the doctrines, in conjunction with empirical evidence from one hundred studies on pricing and production, Dr Lee develops an empirically grounded pricing model and production schema. He argues that the model and the schema together constitute the foundations for post-Keynesian price theory. A Monetary Theory of Employment by Gardiner C. Means (edited with Warren Samuels), M.E.Sharpe, 1994. The Economics of P. W. S. Andrews: A Collection, (edited with Peter E. Earl), Edward Elgar, 1993. Oxford Economics and Oxford Economists, (co-authored with Warren Young), Macmillan, 1993. The Heterodox Economics of Gardiner C. Means: A Collection, (edited with Warren J. Samuels), M.E. Sharpe, 1992.